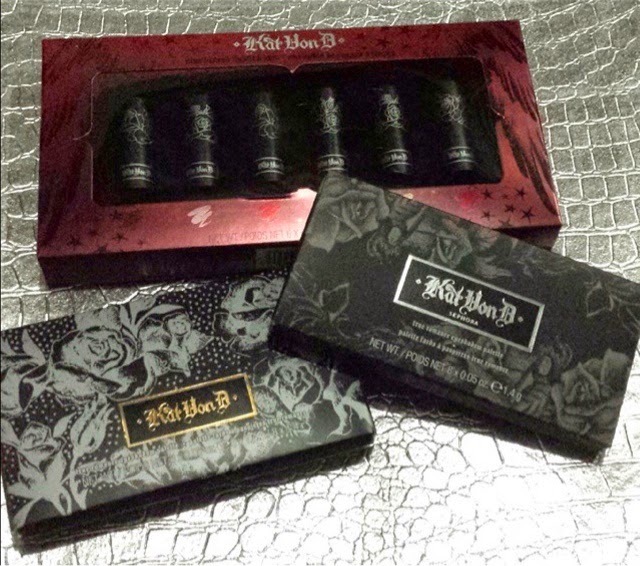 If you're a fan of Kat Von D's makeup line then you need to run to your nearest TJ Maxx or Marshalls store. There have been several sightings of her products. 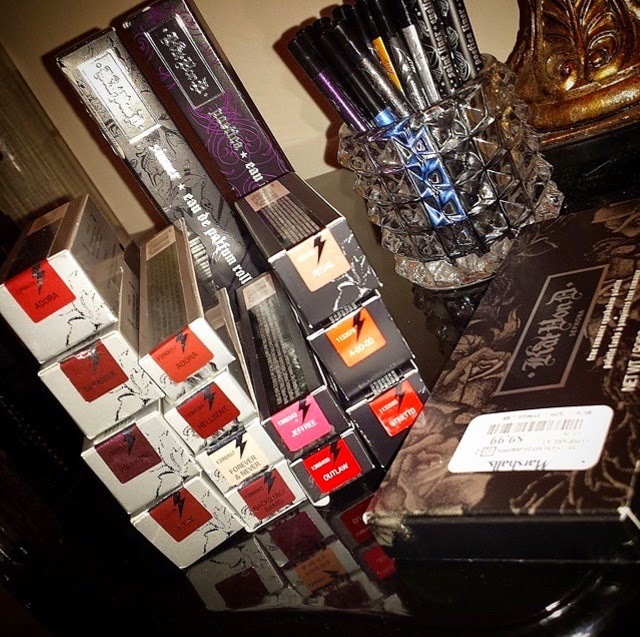 Lipsticks, eyeshadow palettes, eyeliners and more have been spotted at deep discounts! This rollerball perfume was only $4.99. Poetic and Sinner was also available. I spotted these True Romance trios for only $6.99. There was plenty available so enough to go around. But I only saw a few rollerballs so quantity varies. 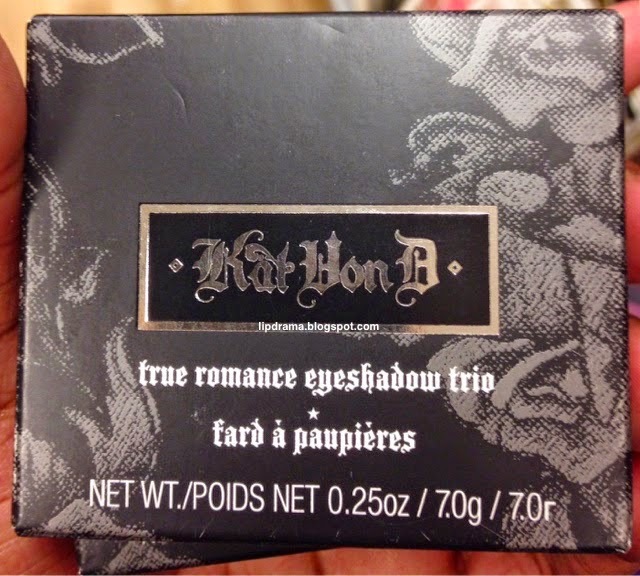 The True Romance Palettes in Saint, Ludwig and True Love has also been spotted at only $9.99. Tattoo eyeliners have been spotted for merely $2.99 and the Starry Eyes Autograph pencil set of 10 for $7.99. 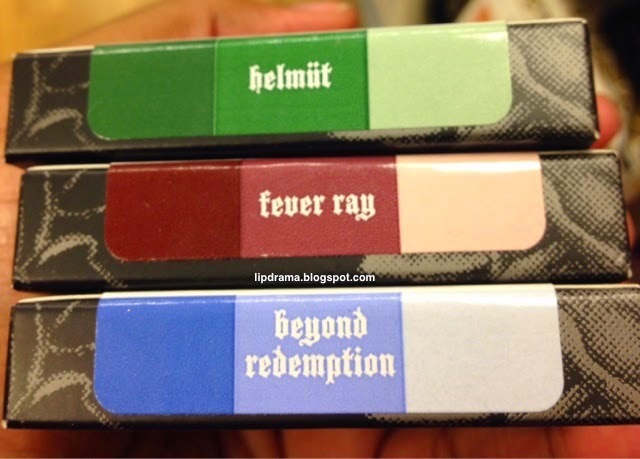 Eyeshadow Primer has been found too. Others have been lucky enough to find sets with several lipsticks as well. It's been 1-2 weeks since these have started popping up so there's a chance your local store didn't receive any yet or did recently. So if you're interested then start your hunt because these babies are going fast. I'm on the hunt too so if you're in NYC and find it before me then help a fellow makeup junkie out.